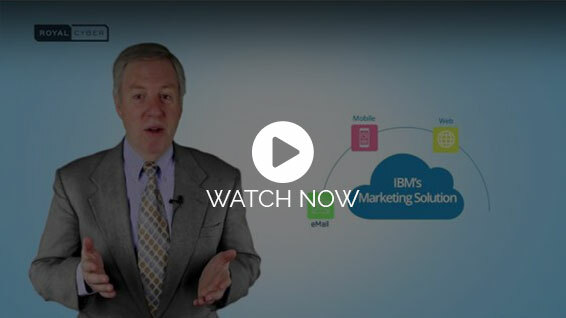 IBM Marketing Cloud, a cloud-based digital marketing provider, offers email marketing, mobile engagement solutions, and lead-to-revenue management. Customer’s individual data and behaviors are collected from various sources by IBM Marketing Cloud to drive personalized interactions in real time. On behalf of IBM, IBM Marketing Cloud makes meaningful customer experiences across applications, devices by accelerating today’s results and tomorrow’s goals. Enhance your enterprise’s digital strategy with our tailored services for IBM Marketing Cloud. IBM Unica, can deliver single, personalized experiences across channels to increase customer engagement, satisfaction, and sales. It provides a family of product that covers customer analyze, runtime decisioning, execution, the whole marketing lifecycle. Design, deliver and measure personalized marketing programs across channels. Improve cross-sell and retention rates with a better understanding of customer behavior over time. Determine the right personalized messages to present across digital marketing channels. Enable local marketing teams to access and customize corporate marketing campaigns. Learn how to deliver exceptional customer experiences across all channels. Push notifications excites mobile customer engagement programs into high-gear. Xtify provides mobile app publishers with the tools to execute push and location-triggered notification campaigns. IBM Mobile Push Notification – Create notification campaigns that engage mobile app users at the optimal time and place. IBM Mobile Web Push – Dynamically trigger near-real-time, one-to-one notifications for your mobile and tablet websites.